Colin Firth's wife Livia is making headlines for donning a gown made of recycled plastic bottles. Read on to discover how you can "greenify" your wardrobe! If I had asked you to spot the dress on the Golden Globes red carpet that was made of recycled plastic bottles, you probably would have been looking for, well, plastic bottles. So often when celebrities wear outfits made of recycled materials, it's not so much to promote "green" fashion values as it is to promote the wearer: Look, my dress is made of plastic. Look how I'm making a point about recycling. Go see my movie/watch my TV show/buy my book because clearly I am a good person. Okay, I get it, but that doesn't mean I'm about to wear a dress made out of bubble wrap. Not bad for something most of us toss away without thinking, eh? The gown was made from yarn created by a company called Newlife. Newlife hopes to produce 10,000 tons of yarn per year by the 2015. This would avoid adding 72,000 tons of plastic to landfills, and save 343 million gallons of water in the process. More power to Livia for setting a great example! I am personally a big fan of shopping for vintage on Etsy and scouring thrift shops. 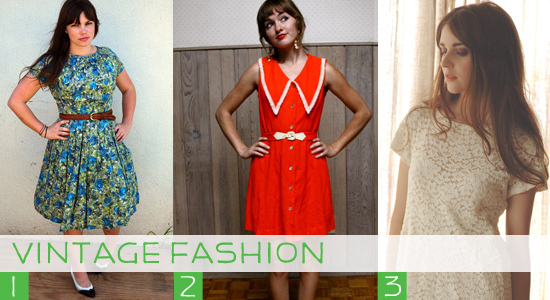 How do you greenify your wardrobe? Help - I'm allergic to exercise! Should the Eiffel Tower become the largest "tree" in the world? Absolutely LOVE this blog. :) I still cannot believe her whole dress was made of recycled bottles finely woven into threads. Just plain amazing. 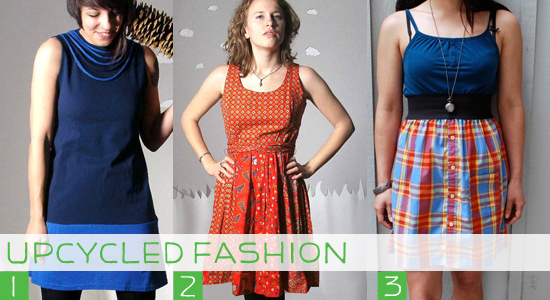 Love the 1st and 3rd on upcycled fashion tips. I cannot believe they were made from men's t-shirts and men's plaid shirts. that is so cool - it's not like you can even tell the dress was made of recycle material from the pictures attached (unless you were told how would you know)? As an added plus she looks great. Would You Live in an Old Shipping Container?